Zen Paradise's new Hexagon tiles use natural stones from islands throughout Indonesia to create eye-catching blends. Each individual hexagon is hewn from either onyx, basalt, and marble. Then the hexagons are tumbled and fitted into a beautiful mosaic of color. 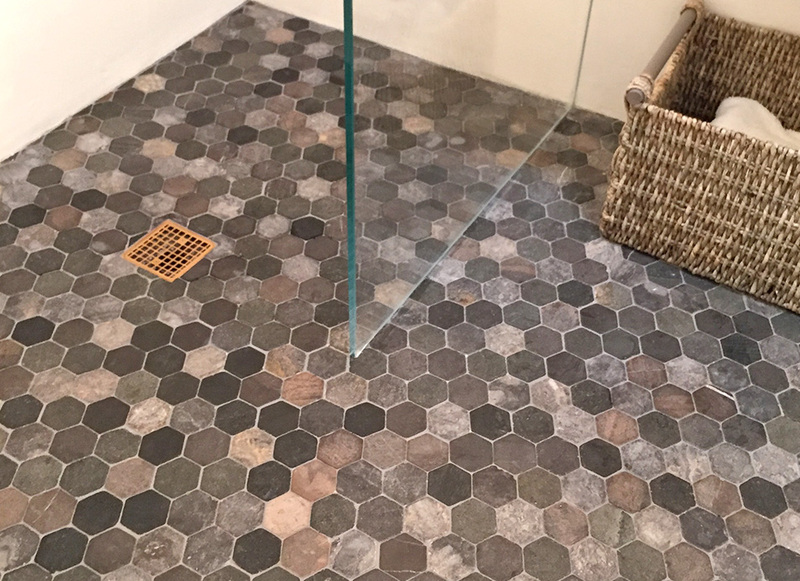 These hexagon mosaic tiles beautify bathroom showers, floors, kitchen back-splashes, and feature walls.